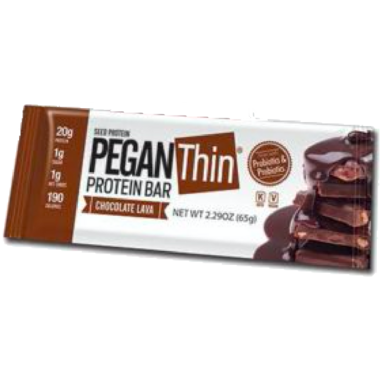 After two years in development Julian Bakery is so proud to launch the first (non-gritty), gluten free, soy free, Vegan & Paleo, Pegan® Protein Bar that is made with 98% Organic Ingredients. This delicious protein bar is soft, creamy, delicious, rich chocolate tasting bar has just the right amount of sweetness to truly satisfy your hunger and that sweet tooth at the same time. Much softer then other flavours. Very good!!!! Very chewy, otherwise good on taste (doesn't taste like a chocolate bar). Lower fat would be ideal. Bulk quantities for much cheaper would be great. The taste is very good and the texture is great if soften by warming. Delish, clean eating on the go! Delicious and no carbs...high protein. Expensive but worth it. Would like to see them in bulk at a discount. Itâ€™s a tasty bar and the nutrition is solid. Itâ€™s my go to. I was honestly extremely excited to try these. Like no matter who you are, you will not like these. They are genuinely awful tasting.